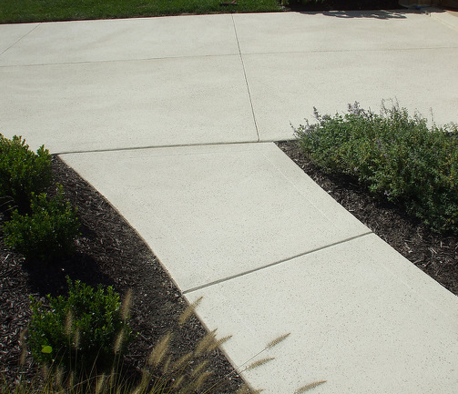 Premier concrete driveway contractors in Baltimore is ready to build out your driveway in Baltimore City or County. Call today to set up a time when we can come out to your place and discuss what you're looking for- whether its a new driveway, concrete curbing, stairs sidewalks or patios. We also repair concrete. There are lots of great concrete contractors in our area, so take your time picking the right contractor to do your project. To help you along, here is a look at some things you should consider when hiring a driveway repair contractor: what the job involves, why it needs a skilled hand, and where to get high quality driveway services in Baltimore, Maryland. Experience carries lots of weight in this industry. Concrete work requires lots of skill to look professional, and this is where experience plays a role. The last thing you need is a driveway that attracts attention for all the wrong reasons. Make sure the contractor can offer you an ironclad contract before beginning the work. There are some risks to repairing or constructing a new concrete driveway. For instance, the work can result in damage to utility lines or adjacent structures; and only contractually-binding and insured driveway repair and construction services can ensure you don't end up footing the bills for these damages yourself. We' re fully licensed, bonded and insured. Professional advice is something good concrete drive way contractors should be happy to offer their clients. For instance, when setting up a new concrete driveway, your contractor can tell you what factors to consider in terms of potential damage. Any contractor who is reluctant to offer professional advice will probably not do the job to your satisfaction. A good driveway contractor should be willing to offer you a price quotation on the job you need them to do beforehand. And with reputable contractors such as ourselves, you can expect more accurate free on-site price estimates so that you pay for what you actually get and not more. You will also need to look at the work the contractor has done in the past. In general, if the contractor has been able to do impressive work before, you will find many clients confessing to this fact. Good reviews from past clients are usually very effective at establishing a contractor as reliable and capable of good quality work. The first step to driveway rehab is assessing the extent of the problem, and what might have caused it. It does not matter if the damage was premature or not. Common culprits include bad weather, plant roots, the freezing and thawing cycle of the winter, unusual usage demands, and poor workmanship. Sometimes, the driveway repair issue might be a sunken area. In such a case, the affected area will usually need to be torn up and redone once again. The goal is usually to achieve a level surface, and once this is achieved, the resurfacing material is applied so that the entire driveway looks level, renewed, and evenly colored. Finally, when building a new concrete driveway, factors such as style choices and budget have to be considered. Beyond that, it is important to consider the things that might potentially cause damage to the driveway in future and ensure its strength can handle such physical demands. The process requires preparing the area through some digging up and leveling the surface. The surface has to be compacted and the course materials applied. From there, concrete construction begins until the job is complete. ​Here are a few reasons why the DIY concrete drive way replacement you are considering might not be such a good idea after all. For one, concrete demo and installation are just plain expensive. This translates into a reduced tolerance for mistakes, because the cost can rise astronomically if the job is not done right the first time round and has to be redone. Furthermore, the equipment required to do concrete jobs is quite costly, which means you will only increase your costs by deciding to make your driveway repair a personal project. In any case, the repairs you can do on your own are usually minor and temporary, only serving to prolong the inevitable – comprehensive and expensive driveway repairs. And again, the job often requires many workers coordinating the task in order to ensure the work is of good quality. This is something you will also not have when doing the job yourself. Another thing, as common as concrete constructions are, it takes refined skill to pull off a professional driveway repair job. With an experienced contractor such as ourselves doing this job for you, you can bet that the job will be nothing but superb, something you cannot always expect when doing the repairs yourself. For instance, getting the mix ratios wrong can mean having to deal with premature repairs down the road. The extent of the damage to your driveway might not be easy to diagnose without expert skill. Sometimes the problems with your concrete driveway are superficial, at other times, they go much deeper than they seem, which means the foundation may also need repairs. If all major problems are not fixed with the first try, then in a short while, you might find yourself having to rip up the driveway to do the appropriate repairs. In Baltimore, Maryland, we are your best bet if you are looking for a concrete driveway contractor to build or replace your driveway. As mentioned above, things like weather can affect how well a concrete driveway holds up over time. This is why we will ensure your driveway gives you a good life of service. In short, we know the kind of concrete driveways Baltimore needs. Furthermore, we ensure that your new driveway also looks good, hence giving your home great curb appeal, and at a very affordable price. We also offer the quality of concrete driveway demo and install that residents of Baltimore have come to expect and appreciate.